Base of apple wood, glass and jewelry resin. 6 wineglasses and plates per set. 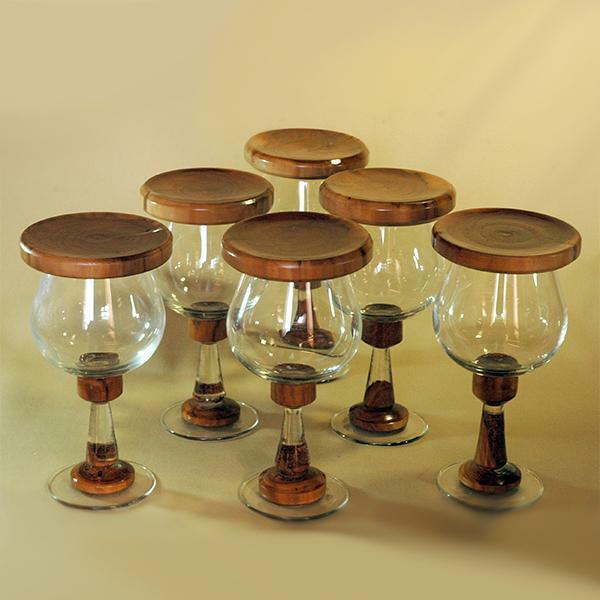 An original handmade wineglass set. The defining feature of the glasses is the combination of natural wood, jewelry resin and glass. Every wineglass comes with a small plate that can be placed onto the top of the wineglass. The plates are covered with natural wax mixed with linen oil. A great gift for her and for him. Works great as a wedding gift.